With the world going through such upheaval and crises like the displacement of thousands of Syrians ,Pope Francis called for more compassion and empathy during the Christmas eve mass. We need to develop our ability to be sensitive to others’ feelings if we are to truly live out of an awareness of one-world consciousness. What better way to represent our Guru and serve others than with the gift of empathy? How do we feel it? Do we have the capacity to be empathetic? 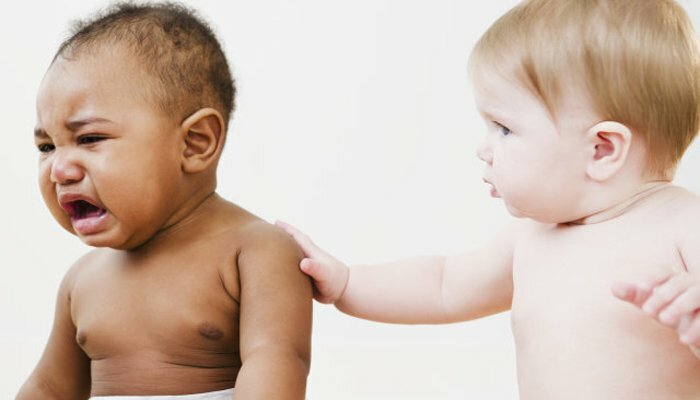 Why should we feel empathy? Empathy is the experience of understanding another person’s condition from their perspective. You place yourself in their shoes and feel what they are feeling.The power of true empathy is its ability to give us a fresh understanding of the other person’s emotions and thoughts to illuminate an aspect of their experience that would not have been apparent to us had we not stepped into their shoes. Empathy is distinct from sympathy,pity,and emotional contagion and other such emotions that are from the same family but actually are quite different. 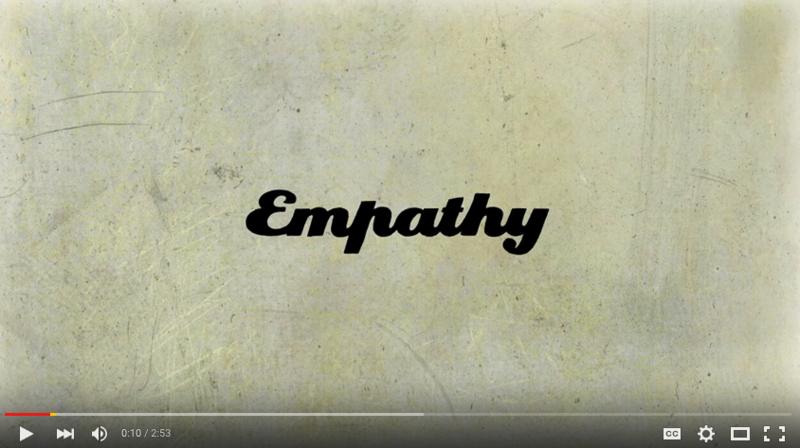 This short video by Brené Brown will help to understand the difference between empathy and sympathy. Indeed, insight is the true hallmark of empathy. Empathy comes more naturally to some than it does to others. However, by taking time to truly paint a picture of what it is like for the other person and imagine ourselves in their place, we will gain valuable insights and forge deeper connections to those around us. One example that i deeply cherish is the time when i actually felt the empathy from another person. It was at the time of my brother’s death. He got killed in an accident as a result of someone else’s drunken driving. While trying to keep God’s will in the forefront I was still feeling very very sad as my brother and I were extremely close. At the time i was with a friend who showed me what true empathy feels like by attentive listening, holding my hand, and actually not saying a word. 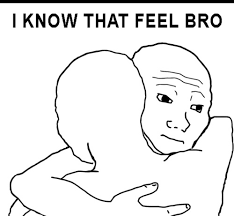 However i could feel that my pain was being shared and that it was being felt in the same deep manner by my friend. It was being authenticated. The experience left me with the feeling that i was not alone and it made me everything seem much better. Empathy is a feeling of another’s true emotions to a point where an empath can relate to that person by sensing true feelings that run deeper than those portrayed on the surface. People commonly put on a show of expression. This is a learned trait of hiding authentic expression in an increasingly demanding society. An empath can sense the truth behind the cover and will act compassionately to help that person express him/herself, thus making them feel at ease and not so desperately alone. Empathy is not held by time or space. Thus, an empath can feel the emotions of people and things at a distance. The etymology of the word empathy remains an important clue to its spiritual significance. From the Greek preposition en or “in” and the noun, pathos or passion, empathy refers to the capacity to “feel into” or even “suffer into” the experience of another. 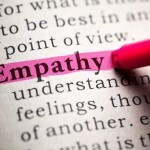 Empathy is the ability to read and understand people and be in-tune with or resonate with others. Even though empathy comes more naturally to some than it does to others, by taking time to truly paint a picture of what it is like for the other person and imagine ourselves in their place, we will gain valuable insights and forge deeper connections to those around us. Human connection is the key to our health and happiness. This is a universal truth. A wide range of recent studies have found that prosocial behaviours such as generosity, altruism, compassion, and empathy foster the well-being of all parties involved. 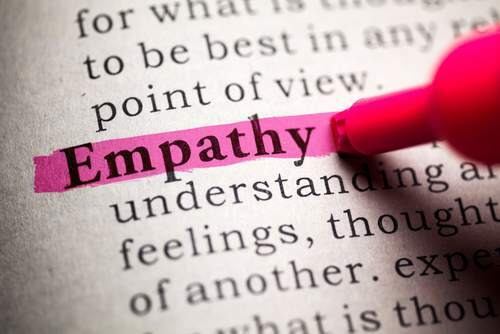 Empathy is arguably one of the most advanced of all communication skills. Putting ourselves in someone else’s place can be extremely difficult, if not impossible. Sometimes another’s circumstances are so foreign to us we often cannot fathom what they are going through. For instance, I’ve never known what it feels like to go hungry. Sure, I’ve been really famished and have even used the phrase “I’m starving!” But I have always been able to satisfy this need, even if it’s running into a gas station for an overpriced granola bar. It would be awful to be hungry (I mean really hungry) and I feel bad for the countless starving people on this planet. But do I have empathy? While there is much we don’t yet understand about how empathy works, we do have some information. Everything has an energetic vibration or frequency and an empath is able to sense these vibrations and recognize even the subtlest changes undetectable to the naked eye or the five senses. Words of expression hold an energetic pattern that originates from the speaker. They have a specific meaning particular to the speaker. Behind that expression is a power or force-field, better known as energy. For example, hate often brings about an intense feeling that immediately accompanies the word. The word hate becomes strengthened with the speaker’s feeling. 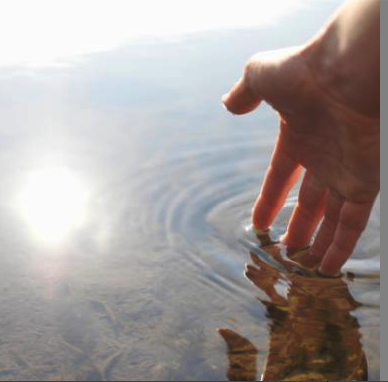 It is that person’s feelings (energy) that are picked up by empaths, whether the words are spoken, thought or just felt without verbal or bodily expression. In Gurbani Vichaar Rose Giley, we are cautioned that by holding grudges against anyone we are in turn being harmful to our own spiritual growth. This includes holding grudges against oneself. Learning to love ourselves is central to loving our neighbour! How is it possible to love anyone else if you cannot love yourself? For example, during adolescence teenagers may hate themselves for a variety of reasons (self-loathing, body image, shame). The self-hatred tends to make them into misanthropes (people who dislike others and avoid human society). If you hate yourself, odds are it will be easier to hate your neighbour, too. So how can there be any empathy? Compassion and forgiveness towards oneself is a fundamental cornerstone to developing empathetic behaviour.One of the easiest ways to create an upward spiral of magnanimity —and to learn how-to love yourself and “love thy neighbor as thyself”—is to do simran (meditation) and to remember gurbani lines which remind us that we are made in His Light as are all others. There are endless examples of empathy in the Sikh history. Our Guru’s model empathetic behaviours. For example, Sixth Guru, Guru Hargobind not leaving the prison without the 52 other Princes and Kings, Guru Teg Bahadar Jee sacrificing himself so that the Hindu’s would not face problems and many many sakhi’s that show our guru’s feeling the pain of their disciples. May we all remember the sacrifices our ancestors have made and become like them as their Sikh ambassadors. Bhainji, Amazing articles! Very well researched, thorough, written with a modern perspective and brings together Gurbani and current ways of life. Bhainji, I got your link from Amarjit veerji. I was wondering if I can also contribute to this seva. I have a website which I have shared in the “website” field. I would love to converse with you regarding this topic. Please email me!